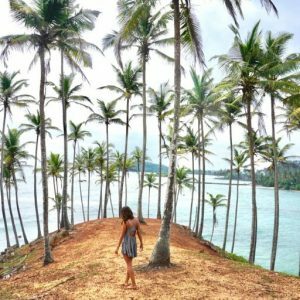 Planning a getaway? 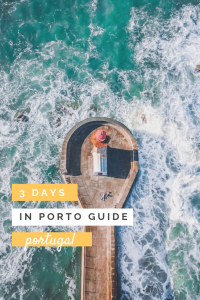 3 days in Porto is the perfect amount of time to explore one of Europe’s most beautiful cities. 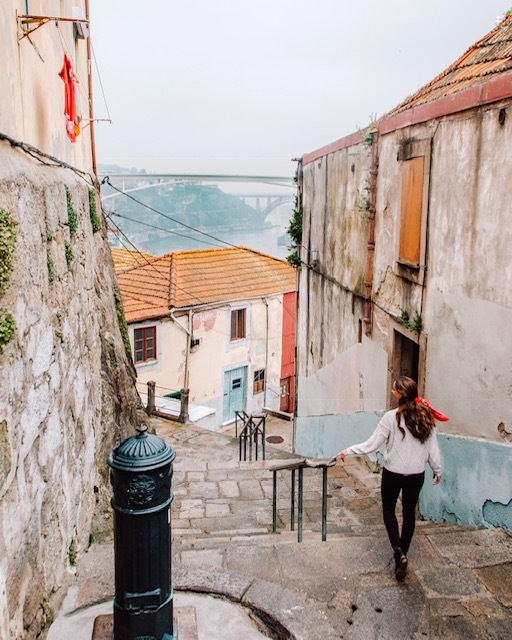 Location – Porto is located in the Northwest part of Portugal, approximately 3 hours from Lisbon by train or bus, or 1 hour by flight. 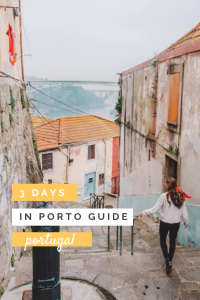 Porto is a small, super walkable city so for 3 days in Porto you shouldn’t need to rely too much on public transportation. It is important to note, however, that the roads are made of cobblestone and the many hills will definitely give you a workout! Make sure to wear comfortable walking shoes (skip the heels ladies)! If you prefer not to walk, the city is well connected with buses, trains, trams, and metros. For 15 EUR you can purchase a 3 Day Transport card that covers most forms of public transportation. 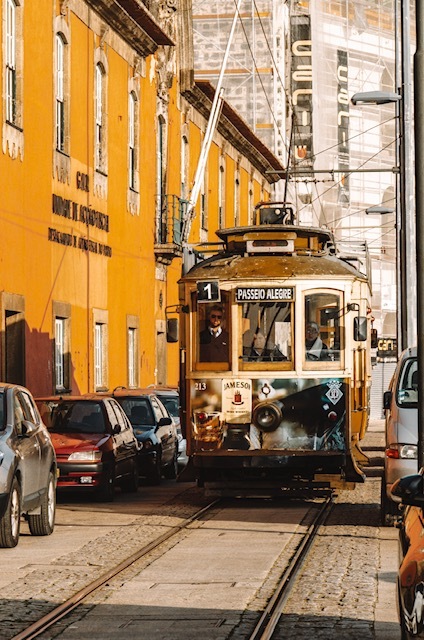 There are a number of ways to get from the Porto Airport to the city center. The metro is often the cheapest and easiest way to get to and from the airport, especially if you’re arriving or leaving during rush hour. Single ride tickets start at 1,80 EUR. The purple line stops directly at the airport, so this is great for anyone staying near the Casa de Musica station. Otherwise you can transfer lines to arrive at a more central location such as Trindade or Saõ Bento Metro Station. This should take less than 30 minutes! The metro typically runs every 5-10 minutes, however the trains come much less frequently during the early hours of the morning and late at night. If you’re not staying directly inside the center, than a bus may be more convenient. A bus from the airport took me about 1 hour, however I was dropped only a 10 minute walk from my Airbnb. An Uber from the airport to the city center should cost you no more than 25 EUR. As our apartment was a bit outside of the center, we were quoted only 16 EUR for our ride. Accommodations in Porto are generally quite cheap, making 3 days in Porto super affordable! 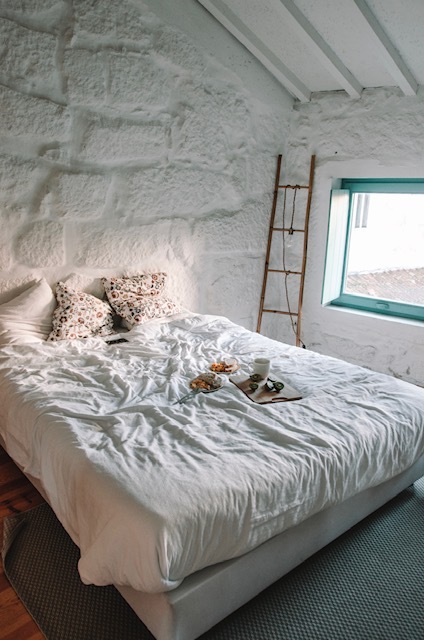 During the low season you can find private Airbnb apartments starting as low as 30 EUR a night. 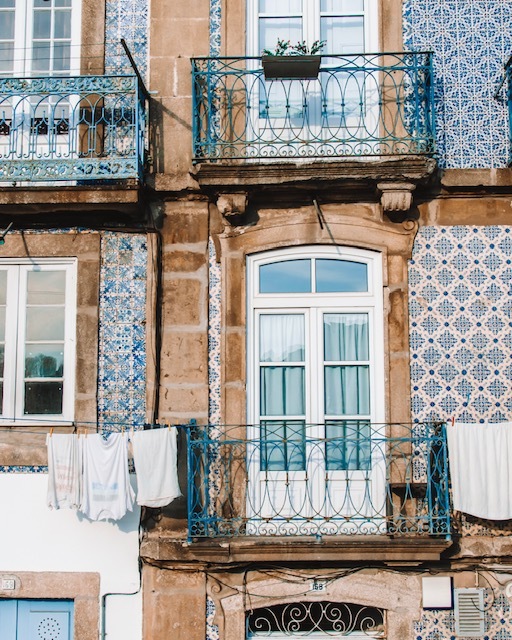 On my most recent trip to Porto I stayed at the cutest apartment just a 20 minute walk along the water from the city center. While we could have booked directly in the center, we quite enjoyed the local atmosphere around the apartment. We also found the restaurants to be more affordable (and way more delicious) in this neighborhood. Check out my Airbnb here! 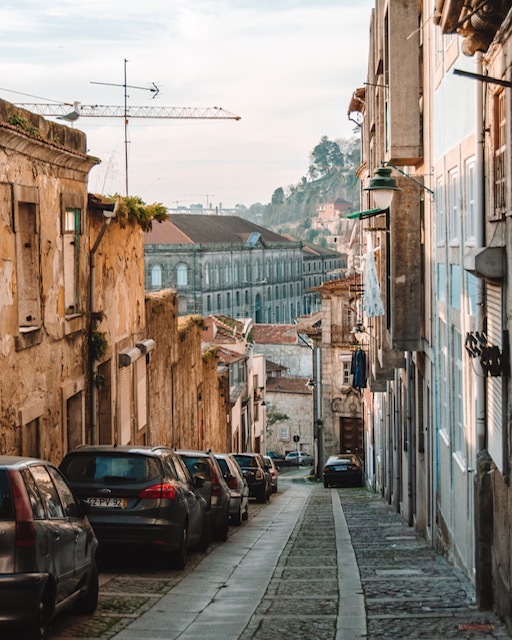 Put on your walking shoes and explore the curves and hills of Porto’s cutest neighborhood, Riberia. 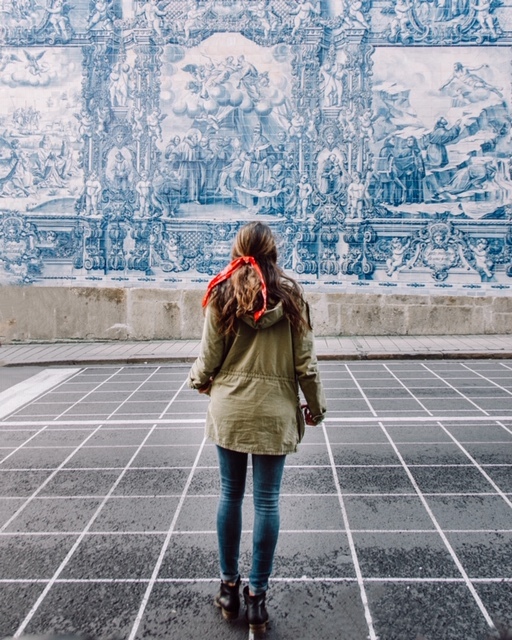 Getting lost in Riberia was definitely one of my favorite things to do during my 3 days in Porto! I’ll be the first to admit that Port Wine is not quite my style, however when in Rome! A choice made based originally on name alone, I toured Taylor’s Port. The beautiful winery is a great place to try the local wine. The staff is incredibly knowledgable and it is far less touristy than many of the other wineries. 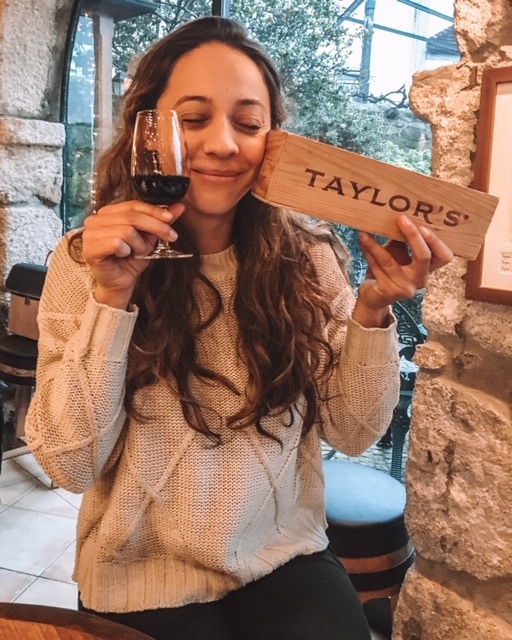 Find out more about visiting Taylor’s Port here! The local Portuguese food was definitely one of my favorite parts about visiting Porto! Due to the city’s proximity to the sea, the cuisine is made up of a lot of seafood. Fresh, delicious, and cheap! Not only is the food in Porto cheap, but so is the wine! Back home in NYC I would be scared to drink a glass of wine that costs only $3 USD, but in Porto that price seems to be the norm! Lots of delicious, full-bodied reds at great prices! Foz is located just 15-20 minutes by bus from the city center and is a must on any Porto travel itinerary! The quaint town is located on the water, with a long stretch of beach and the cutest red lighthouse! 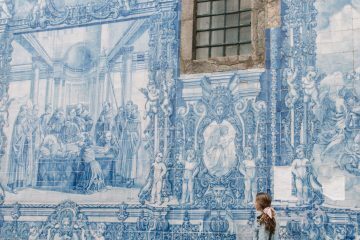 Porto is packed with a number of beautiful churches, such as the Porto Cathedral, . You can enter the churches or simply view the from the outside. I could honestly spend 3 days in Porto just eating and drinking and leave happy! The seafood heavy cuisine is both delicious and easy on the wallet. One thing to note though is that most restaurants will place an assortment of breads and olives on the table at the start of the meal. Unlike in the US, this does not mean that it is complimentary. You can choose not to eat it, but if you do you’ll be charged 1-2 EUR per person. I personally found the small fee a great deal for the freshly baked beads and amazing olives that we sampled at each place, but I understand that the added cost may come as a surprise to those who are not familiar with this practice. We popped into this restaurant for dinner on our first night after a recommendation from our Airbnb host and it definitely didn’t disappoint. In fact, this may have been the best meal that we ate during our 3 days in Porto! The food is served in a traditional tapas style, with a menu for the table to fill out. I highly recommend the Bolinhos de Bacalhau and the clams! We showed up at this restaurant 10 minutes before it opened one night and boy are we glad that we did! Unless you plan on arriving super early, make sure to reserve a table ahead of time. 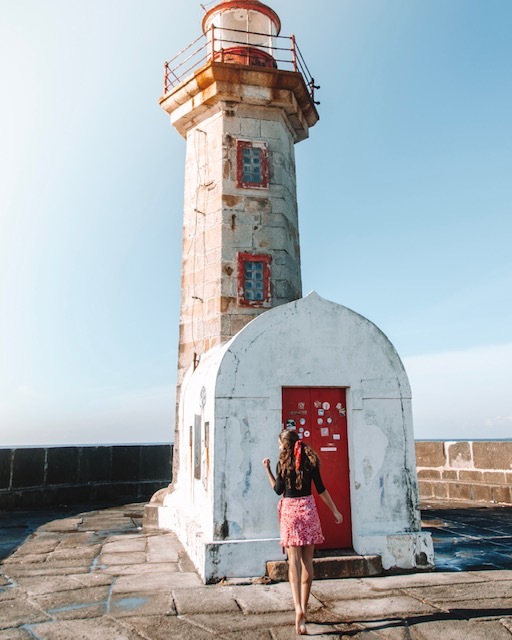 This centrally located spot is packed every night with tourists and locals alike showing up to try their version of the local Francesinha Sandwich. 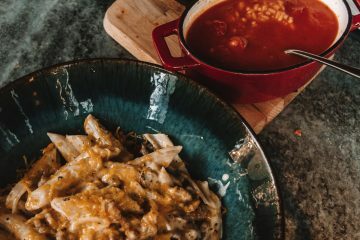 Literally named “the little French girl”, this famous dish is a combination of bread, cheese, and meat (or vegetables) fried and served in a beer-based sauce. 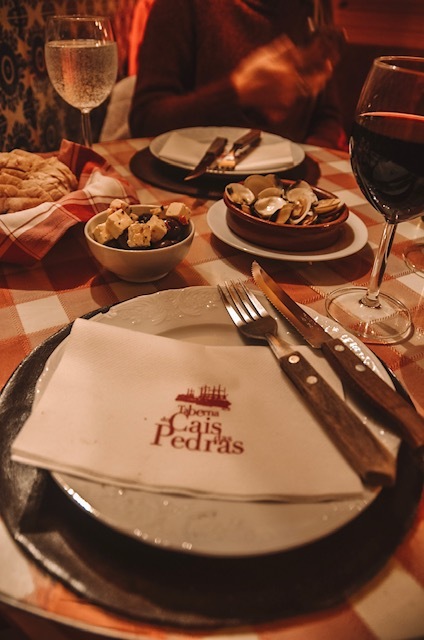 Traditional Portuguese food served tapas style, this centrally located spot is great if you’re sharing a meal with a friend or two! Make sure to give the octopus a try – prepared traditionally with sauteed onions. A great option if you’re looking for cheap, local food. 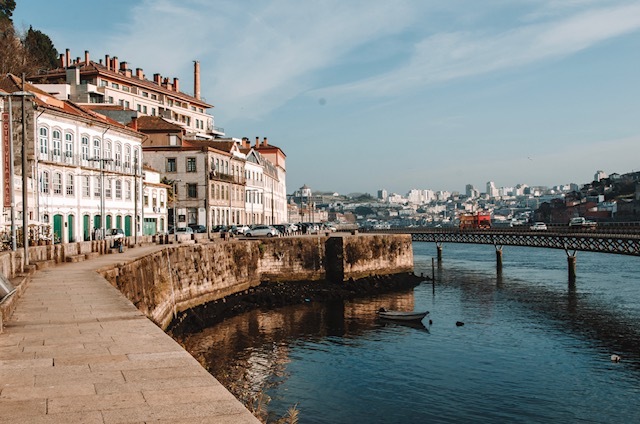 Located about 20 minutes outside of the center with beautiful views of the water, Restaurante O Caseirinho is a must during your 3 days in Porto! Share a filet of fish over traditional black eyed peas for as low as 8 EUR! 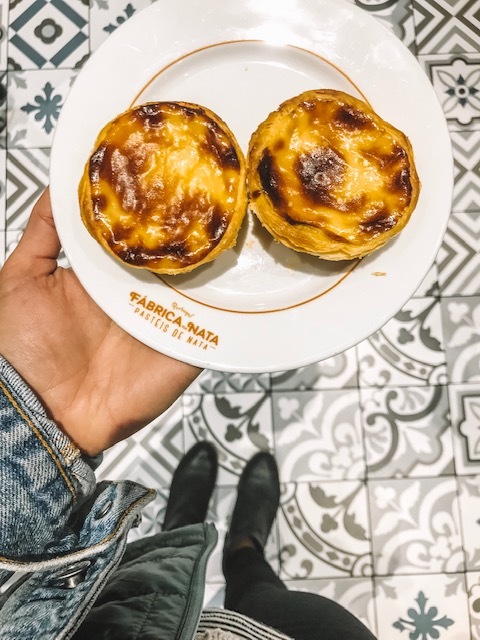 I did my fair share of sampling Pastel de Natas throughout my 3 days in Porto, and Fabrica de Nata definitely takes the cake! Prepared fresh throughout the day, their warm, flaky pastries are a must during a trip to Porto! As a New Yorker with experience in the restaurant industry, I am always very conscious of customary tipping practices around the world. Tipping in Porto is NOT expected. You are more than welcome to leave something, however locals usually round up to the nearest Euro at the most. 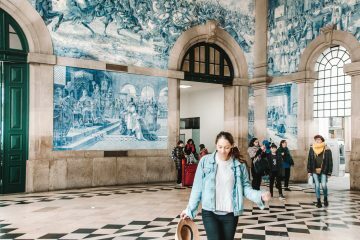 Like what you read about spending 3 days in Porto, Portugal? Make sure to Pin it for later! Thank you so much! It is such an amazing city!